Richard Devine is one of the sound design superstars of the current age. 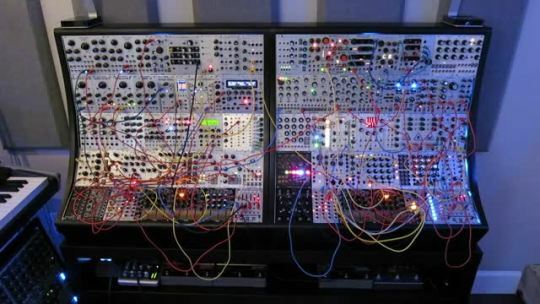 His experimental music uses the both the cutting edge of modular technology (Intelijel, MakeNoise, AudioDamage,TipTop Audio, 4ms and others) as well as a vast array of plug-ins and software instruments. 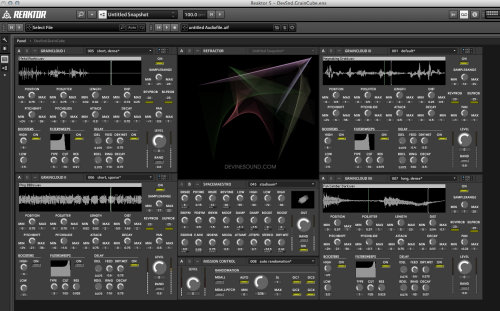 Indeed, he is an official Native Instruments artist with a penchant for Reaktor and Absynth. 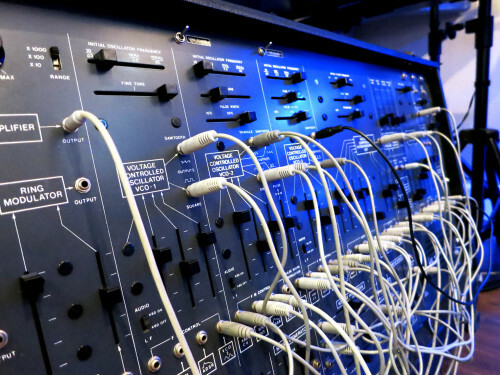 He records and releases for Miami based Schematic Records with many of his recent works exploring algorithmic and modular generative music. 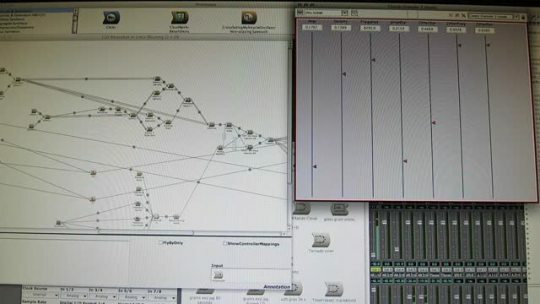 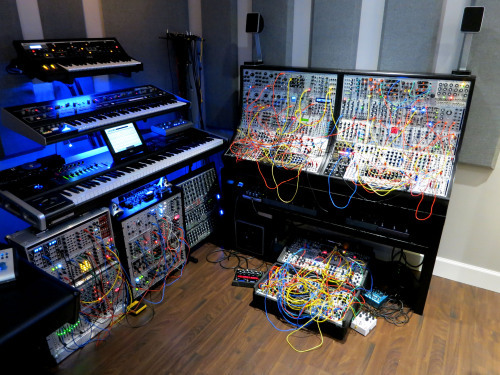 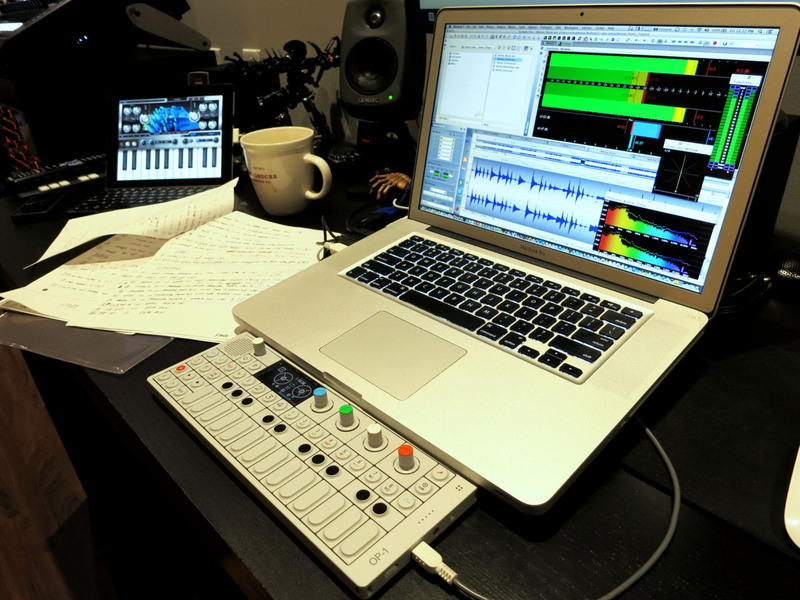 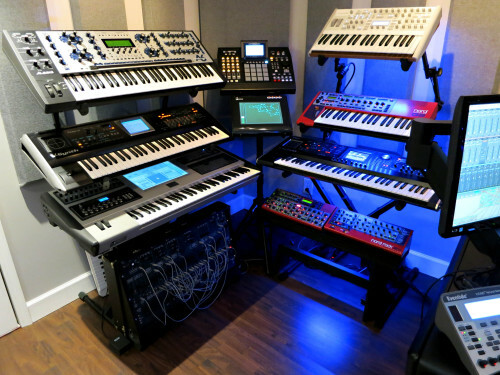 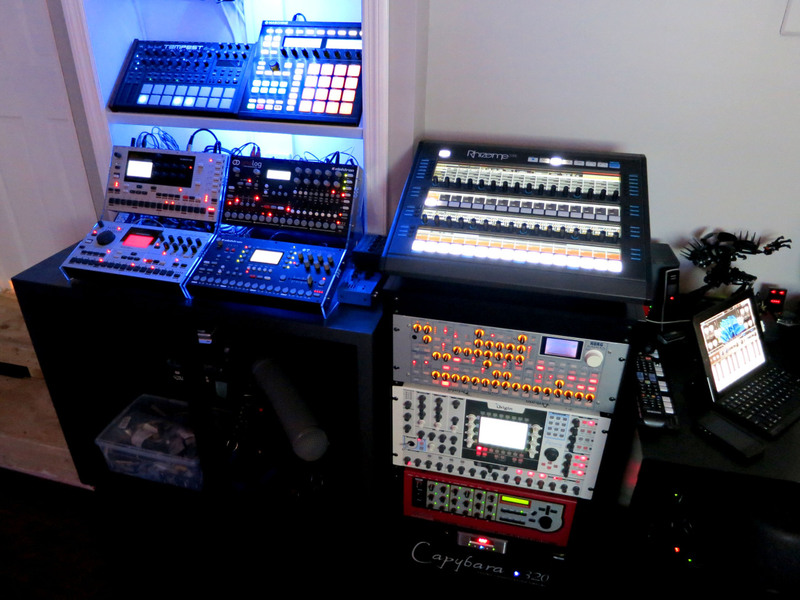 In addition his sounds can be found in many current instruments, both hardware and software. 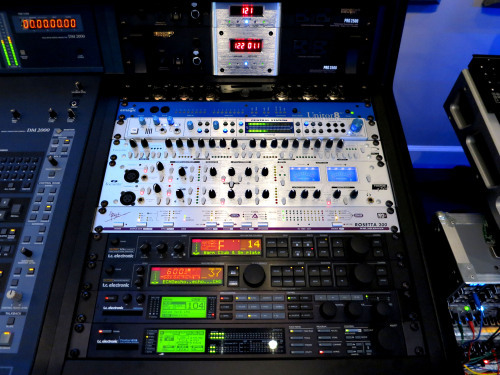 Recently he has released sound packs for AAS Chromaphone and the just released Ultra Analogue, presets for Eventide's Black Hole spatial processor, AirMusicTech's additive synth Loom and many others. 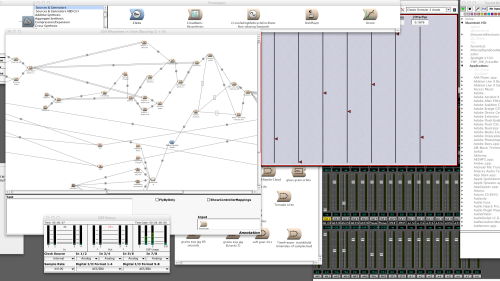 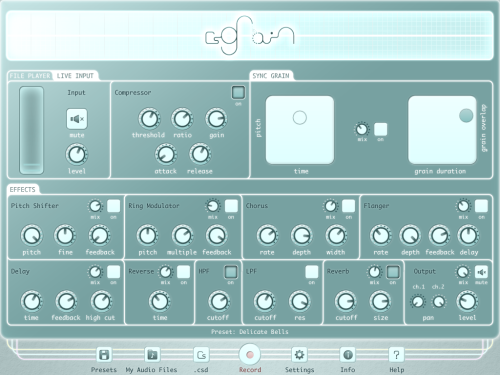 Drone created with my custom Logic channel strip. GRM Evolution as the main processing engine. 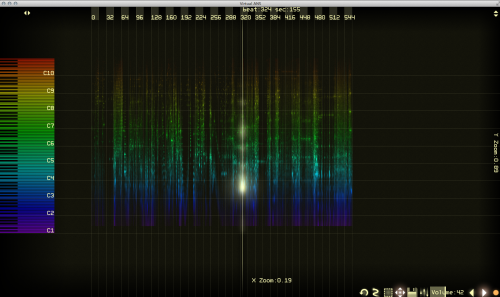 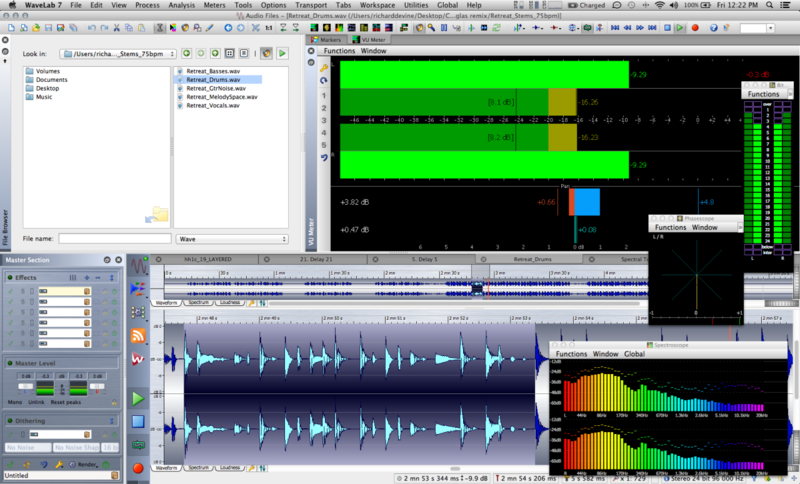 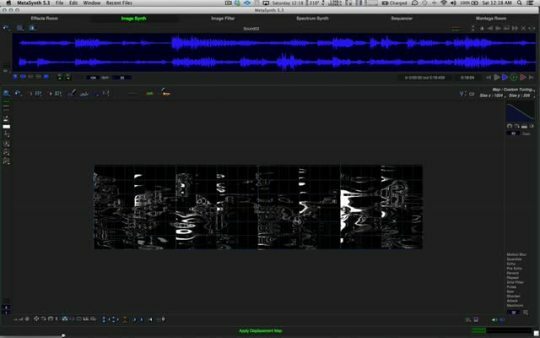 More audio processing, this is a snapshot of my drone making channel strip. 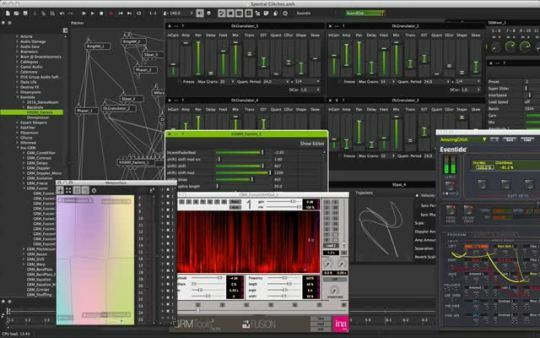 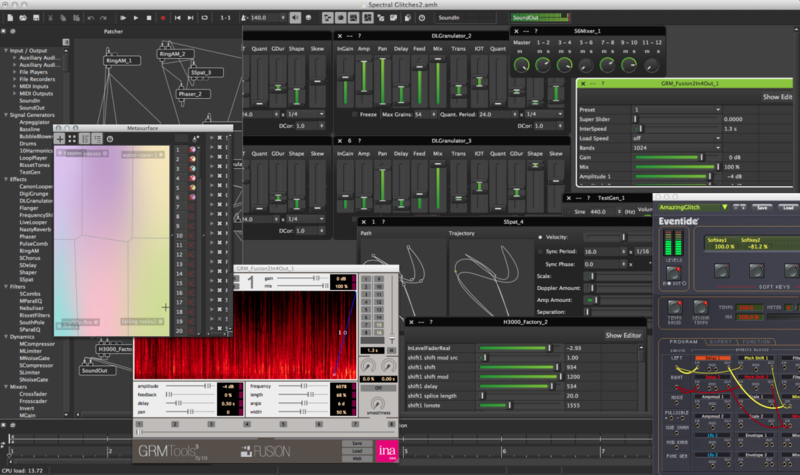 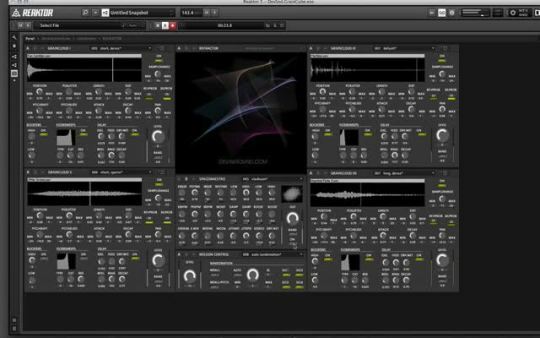 Turn any material into haunting dissonant atmospheres . 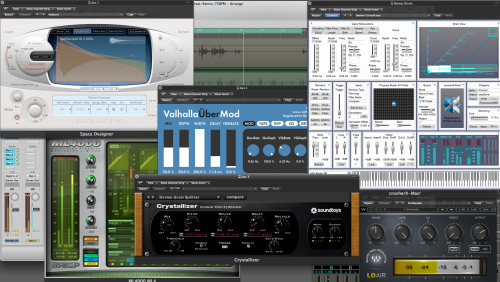 Taking the recordings from today and editing the files with Sound Forge, then taking my favorites bits and importing them into my remix logic session. Trying out some of the edited percussion sounds in the Octatrack. 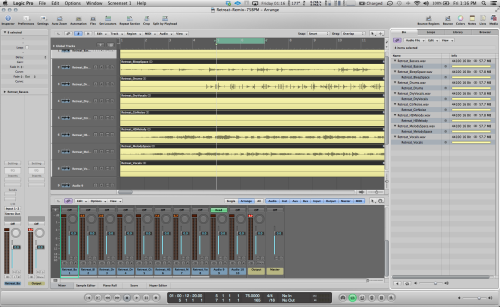 Recording a few loops to be cut up later. 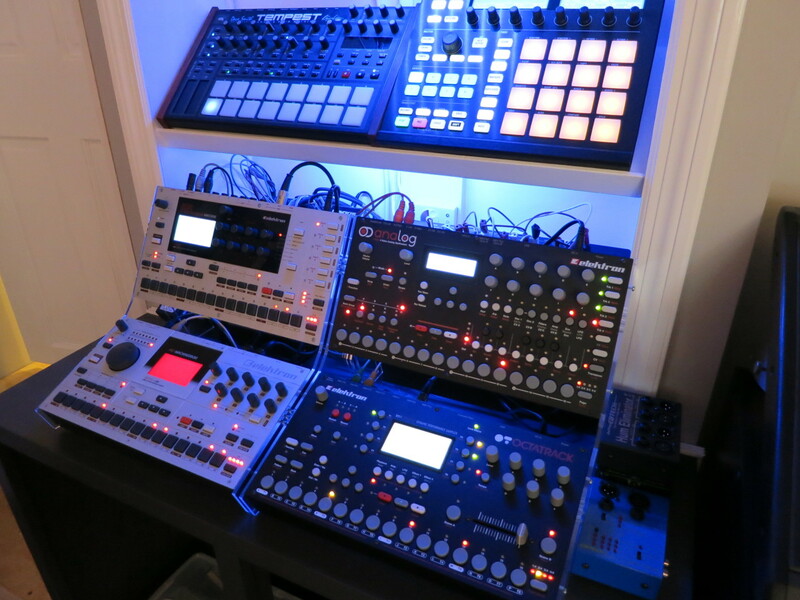 Moving some of the drum sounds over to the Elektron Octatrack for some proper mangling. 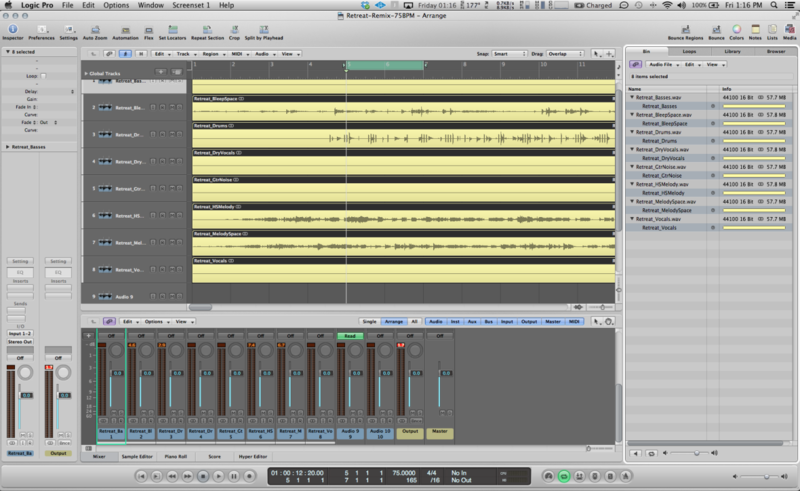 Recording some more bits to cut up later in Logic. Next up is recording some resonating dissonant drones with the custom modular system designed by my friend Tim Adam’s. The output from the modular is going into the Eowave Metallik Resonator Speaker. 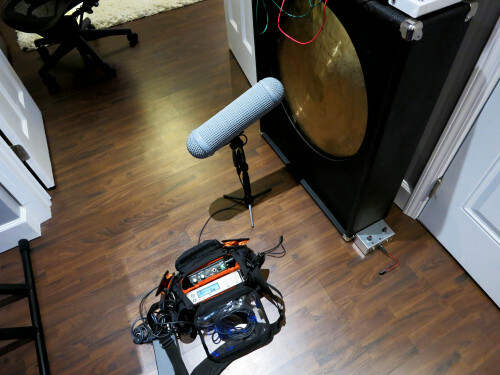 The output is then played through the gong acting as a speaker, then recorded with my Neumann RSM-191 microphone to a Sound Devices 744T. 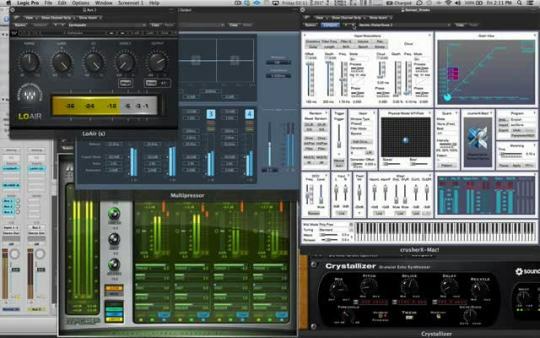 The rest of the vocal and synth parts will be processed by these 4 iOS apps. iPulsaret, Stria, Samplr, and csGrain. 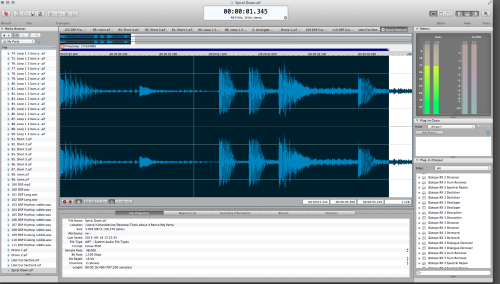 Exporting the best parts. 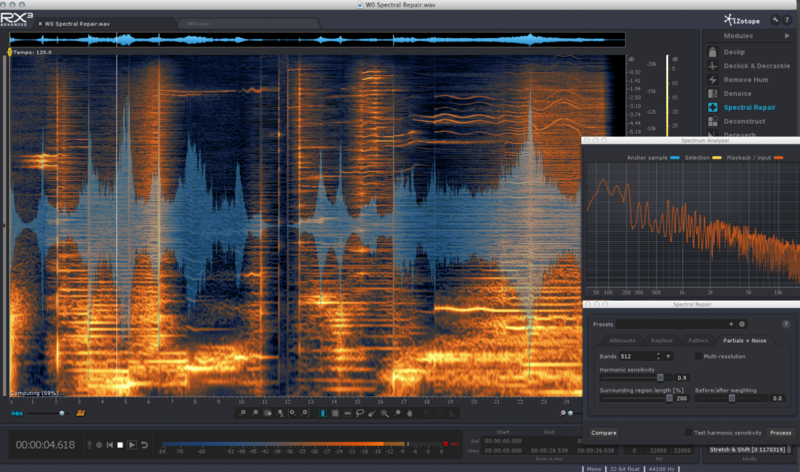 Imported Douglas McCarthy’s voice tracks into VOCO. 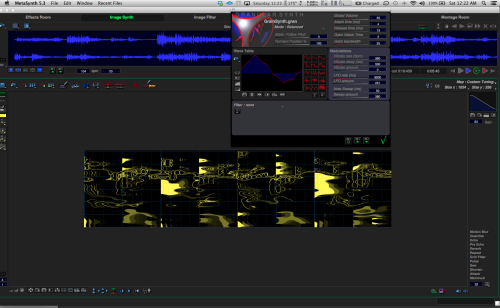 Doing some spectral phrase freeze passes and then exporting back into the computer. 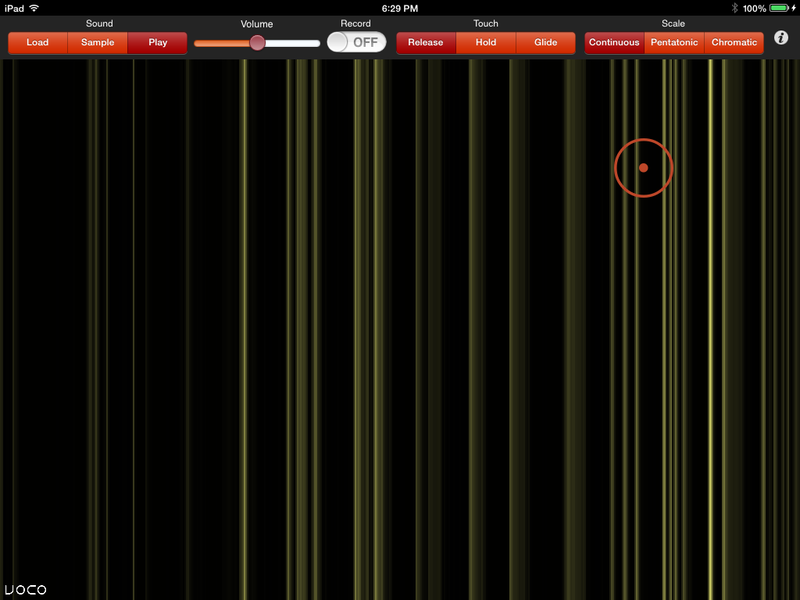 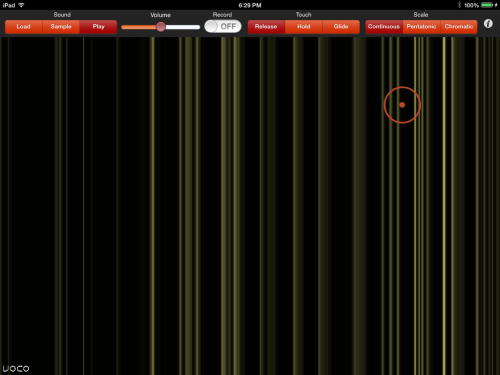 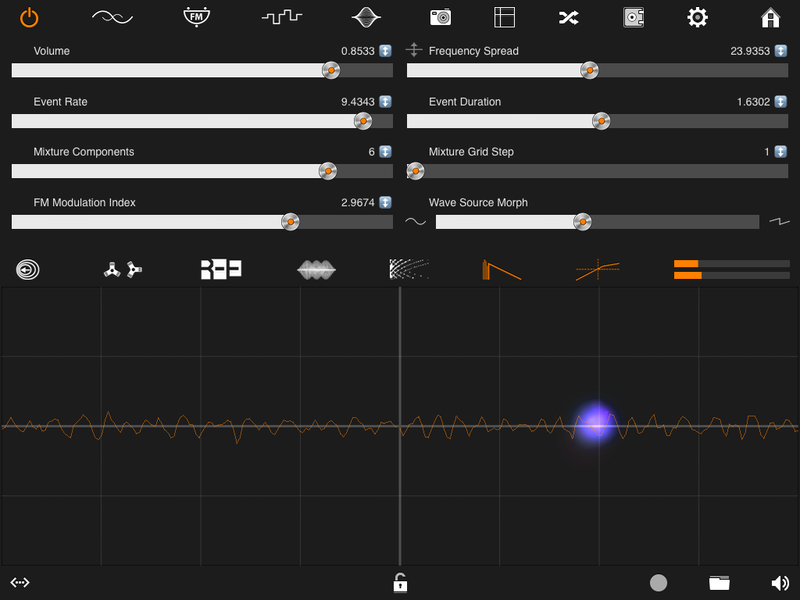 Jumping over to the iPad to generate some drones, and atmosphere sounds. One of my favorites Nave from Waldorf. 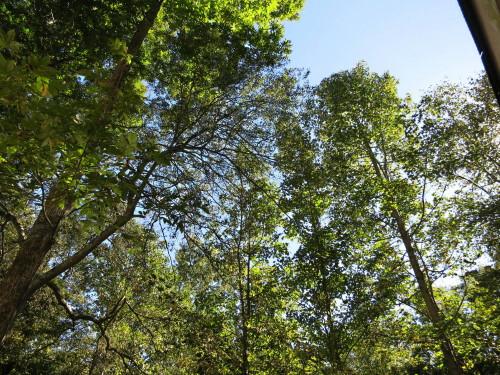 This patch was inspired by Bernard Parmegiani-de natura sonorum. 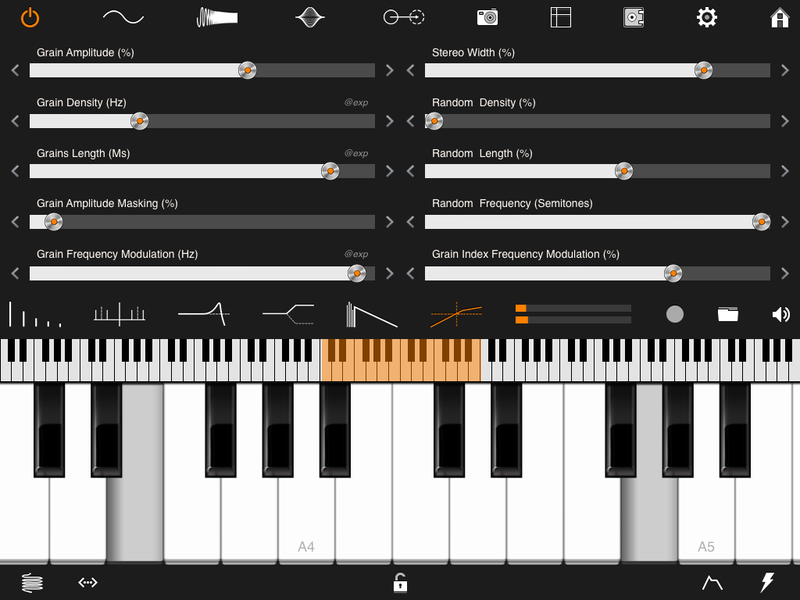 Great for creating gestural sounds. 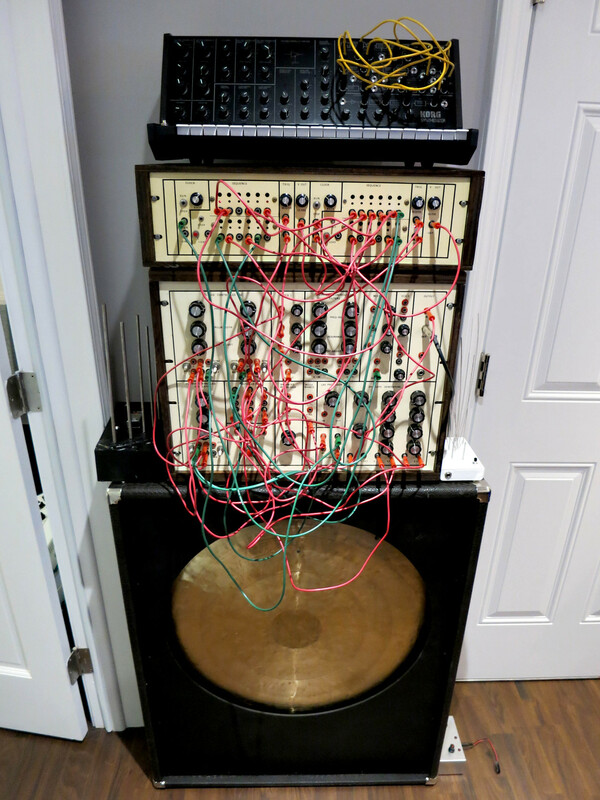 Jumping over to the Nord G2 for some generative drum action. 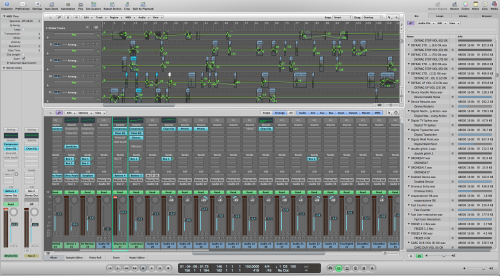 Recording just a few sequences to use to cut up for the remix. 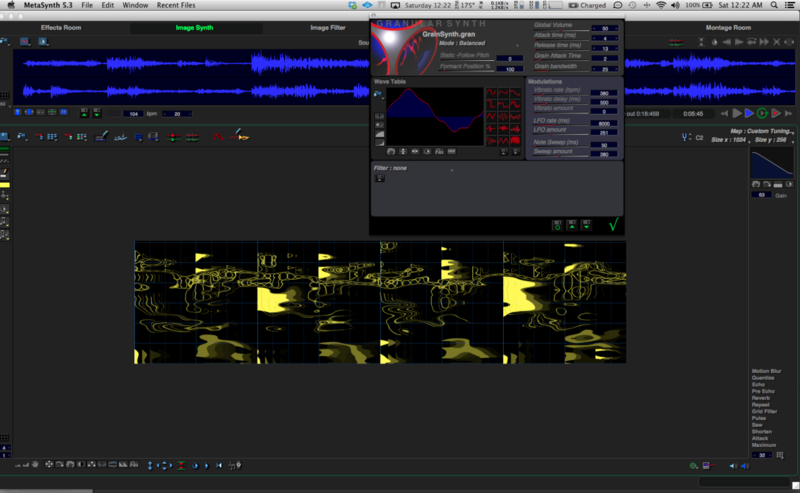 Back to the remix, now trying some things using Photosounder, creating some swirling spiral sound effects to add in as accents. 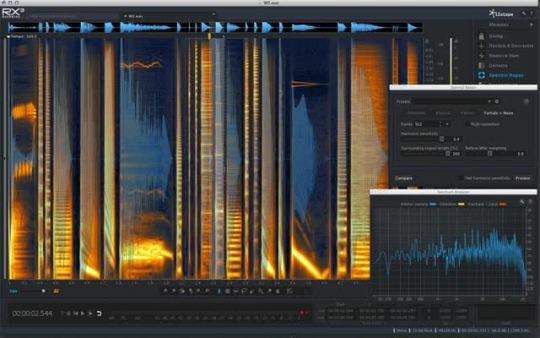 Great for importing your own images and hearing what they sound like. 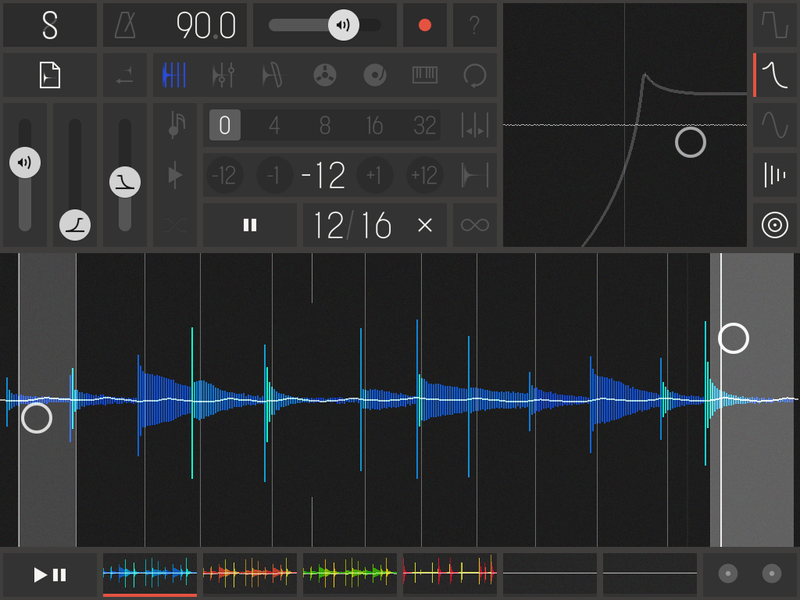 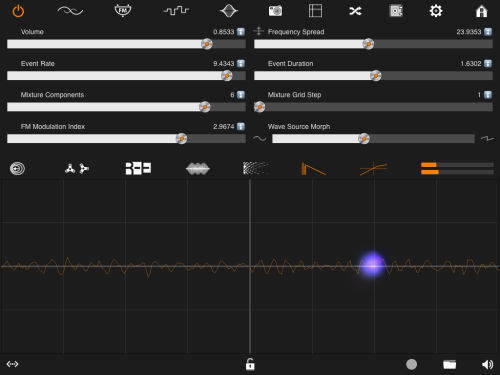 Another great feature is some of the drawing tools to create interesting rising/falling effect sounds. 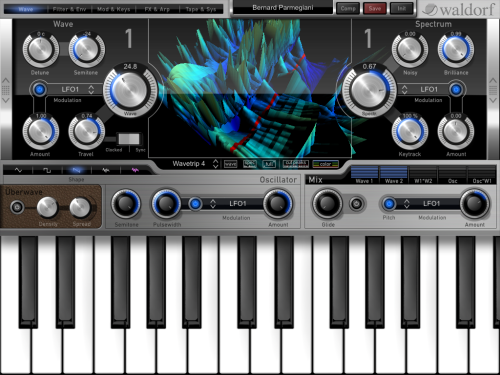 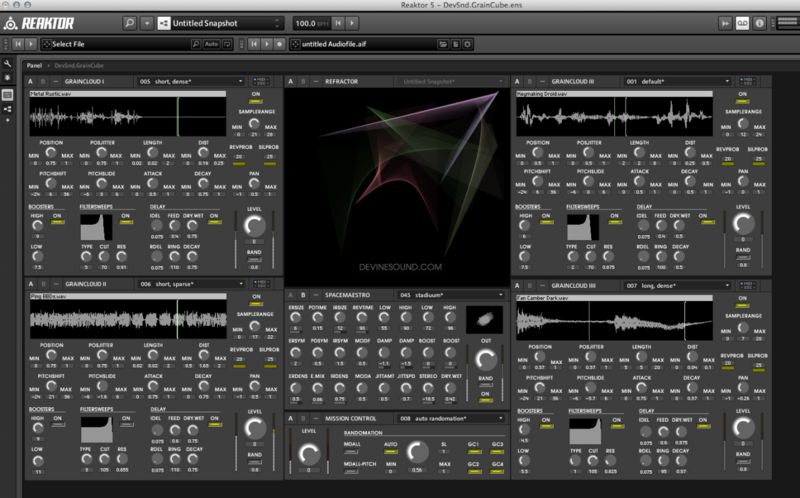 Its also a great tool for creating fast doppler fly by effects. 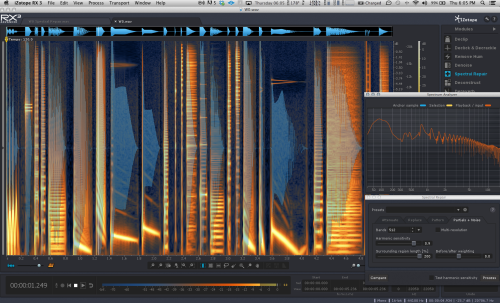 Creating some extra granular noise fragments into Logic. 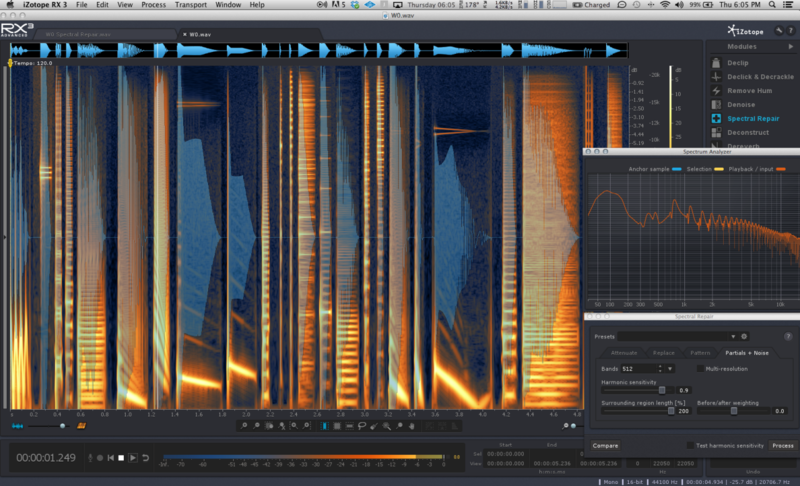 Spectral Repair used to create interesting spectral smears and meshes. 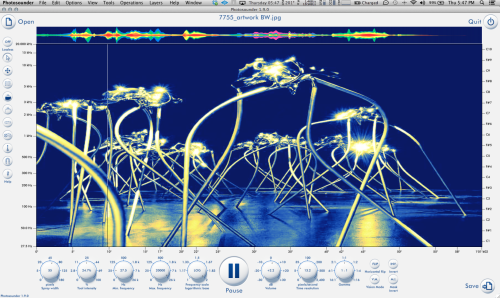 Jumping into Kyma for some extra sound processing, and adding in some granular high end noise beds to be converted into more Kontakt instruments. 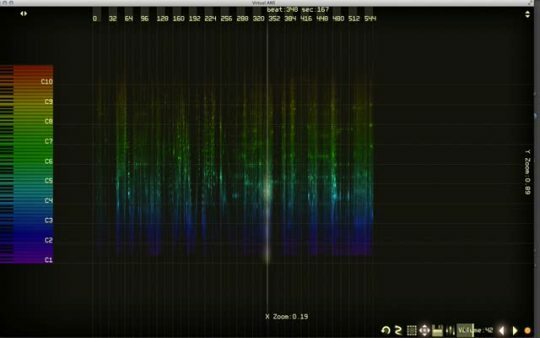 Taking some of the sounds into RX for some processing using the spectral repair function but repairing different frequency points using completely different samples to create spectral swishes and effects. 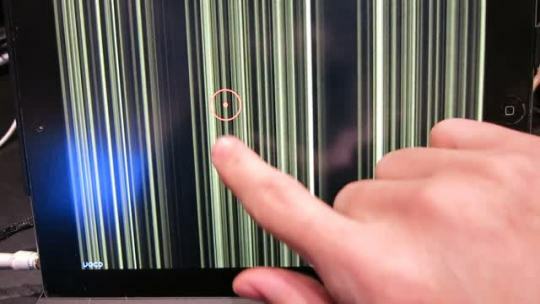 The before and after screen shots. 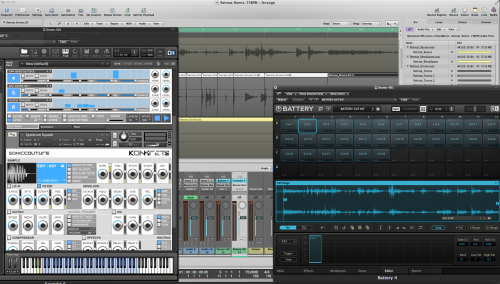 Making some additional processed sounds with the cut up drum kits. 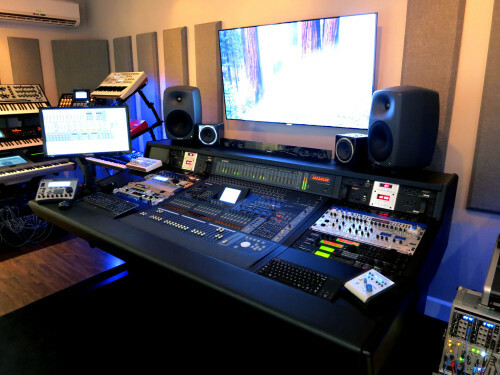 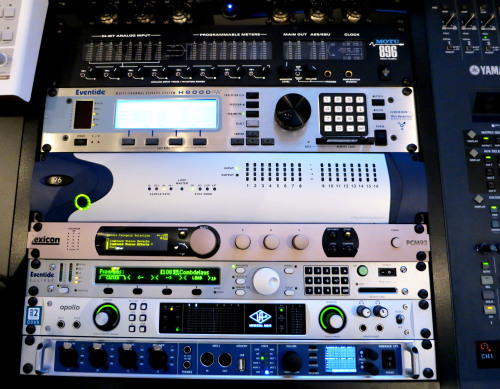 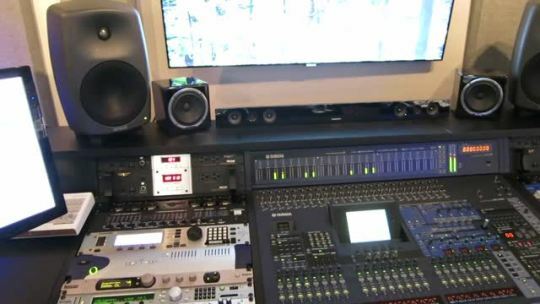 These sounds will get cut up and then be made into additional kits to be used in the song. Next is making a few kits in Kontakt and Battery to play and program. Experimenting with different channel strip patches I have made. 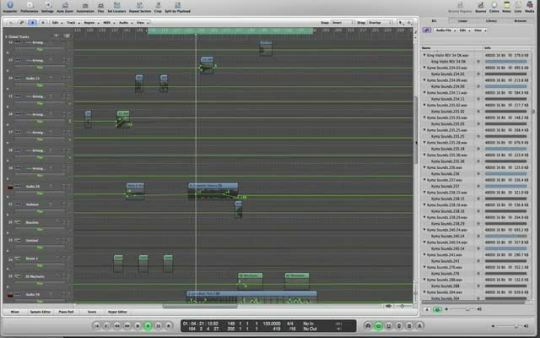 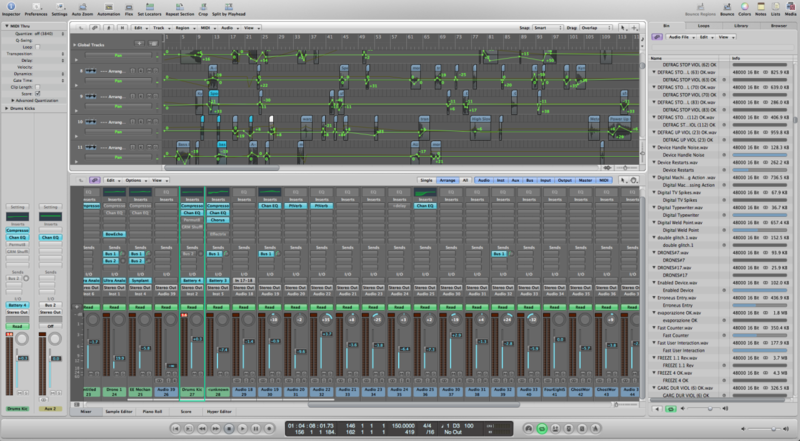 Files imported into Logic 9.1.8, listening to all the audio stems together. 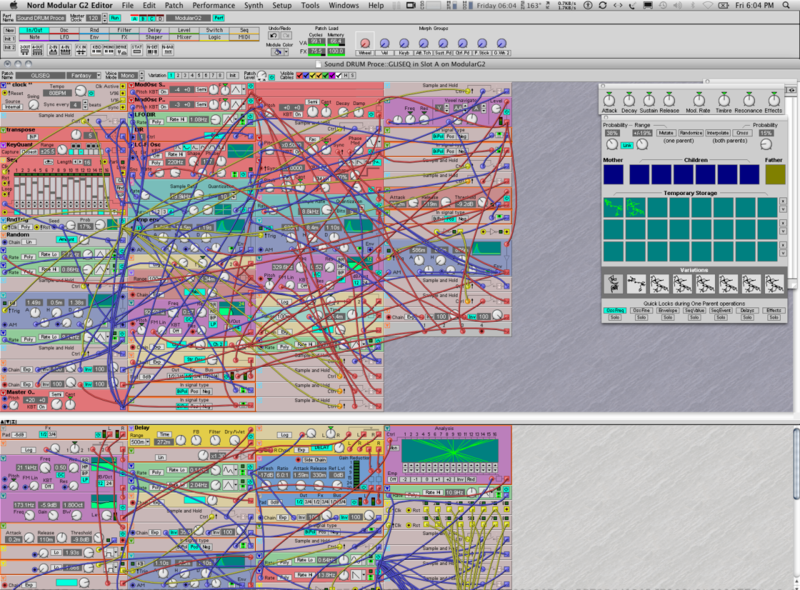 Now time to chop up some stuff and begin some ideas. 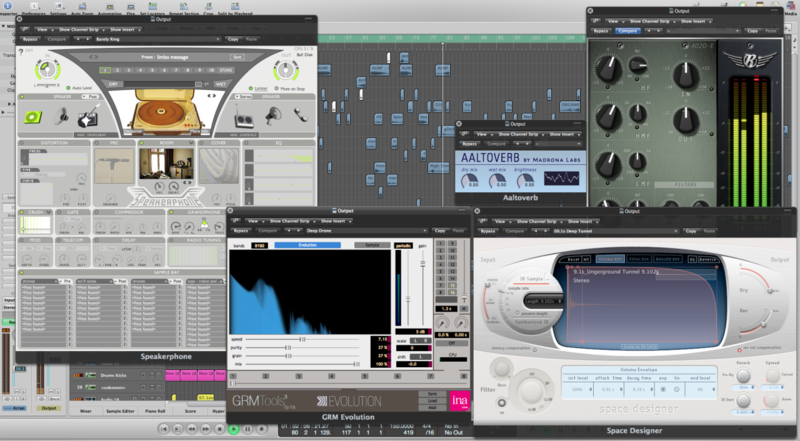 :-) Note: using Logic 9 for this remix as some of my favorite plug-ins aren’t 64-bit yet. 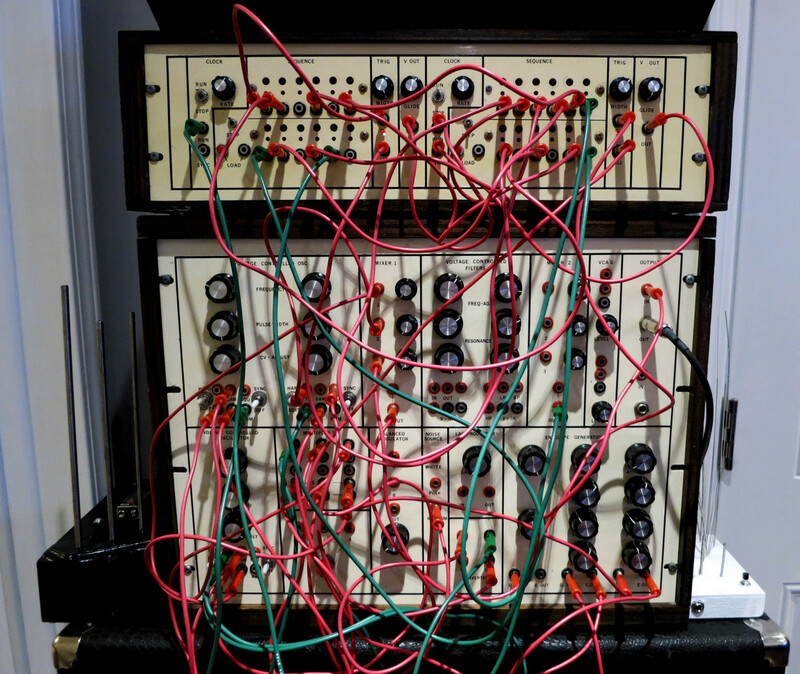 Getting the new Goike modular cases ready for recording today. Looking through some notes I have made about how I would approach this remix. 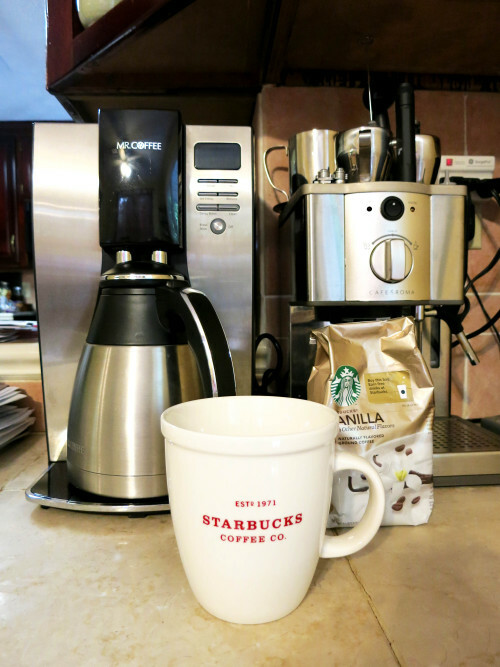 I like to make a reminder list of certain things to try through out the day. First is listening and looking at the waves of the stems that they provided, before importing them into my session.